Tropical Storm Kirk has redeveloped and is heading towards the Lesser Antilles in the eastern Caribbean. As the storm reaches several popular cruise destinations, there could be an impact to cruise itineraries. 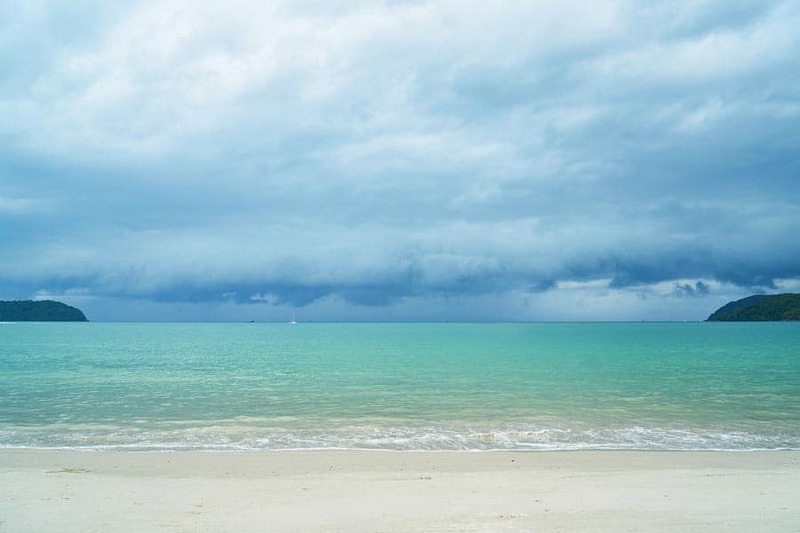 We’re always to make sure Cruise Hive readers are kept informed on any potential storms impacting the cruises. Hurricane season is still happening, and right now the redeveloped Tropical Storm Kirk has gained strength. The storm is heading west towards parts of the eastern Caribbean, and this could be something to keep an eye on if you have a cruise itinerary featuring any of the destinations. 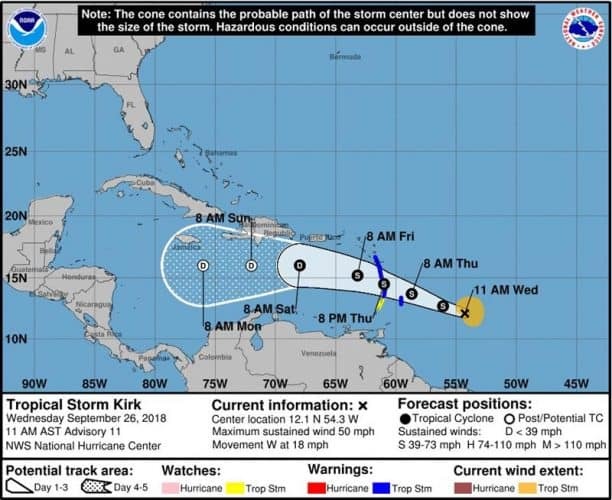 Kirk is set to start impacting some Caribbean islands on Thursday including Barbados, St. Lucia, Dominica, Martinique, and Guadeloupe. There is already a Tropical Storm watch issued for these destinations. Kirk may not be a Hurricane but still extremely dangerous and according to the National Hurricane Center has maximum sustained winds of 50 MPH and moving west at 18 MPH. There will be heavy rainfall and high winds so cruise lines will change any itineraries if needed to keep guest and crew safe with no risk from bad sea conditions. No cruise lines have yet announced any ship changes in the region, but Carnival Fascination might be one to watch as the ship has a scheduled call in Barbados on September 26 and then St. Lucia on September 27. The good news is once Tropical Storm Kirk moves more towards the Southern Caribbean it is expected to weaken and let’s hope it doesn’t redevelop. Cruise Hive will continue to keep track of any new developments impacting the cruise industry. We also suggest checking with the cruise line for official updates not just regarding Tropical Storm Kirk but any other storms too.